We're back from a week in Estes Park, Colorado, and it turns out that it's true: you can take the girl out of the planning department, but you can't take the planner out of the girl. 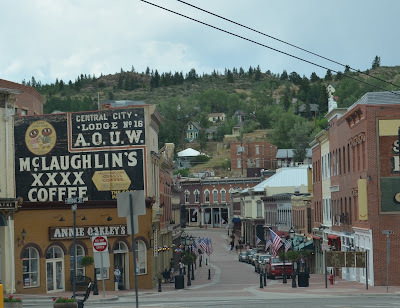 All week, every time we drove or walked down the city's main street (above), I felt an uncontrollable urge to call up the local town council and beg them to do a walk audit. As you can see above, while the city has made some effort to improve walkability by adding bulb-outs at key intersections and decorating the on-street parking with bricks, there's still a busy, four-lane road cutting through what is nominally the prime tourist street of a town with a tourism-based economy. 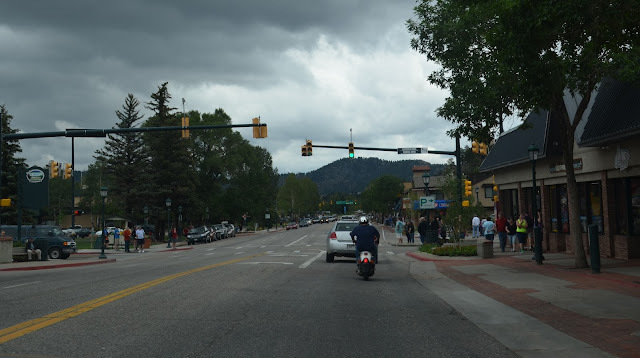 What's particularly absurd about this, is that the layout of the surrounding streets and parking have actually been designed to encourage drivers to either 1) bypass downtown Estes Park entirely by using a parallel side-street or 2) park in one of the many lots surrounding main street and walk into downtown. If the idea is to make Estes Park's main drag a "destination" for pedestrians to leisurely stroll along, window shopping and purchasing the occasional ice cream cone, why destroy the street's walkability by clinging blindly to the idea that vehicles must retain their dominance in the streetscape? In fact, why even keep the street open to vehicles at all? Note the narrow, woonerf-style street that clearly tells pedestrians, "this is your space, we just let the cars borrow it now and then." 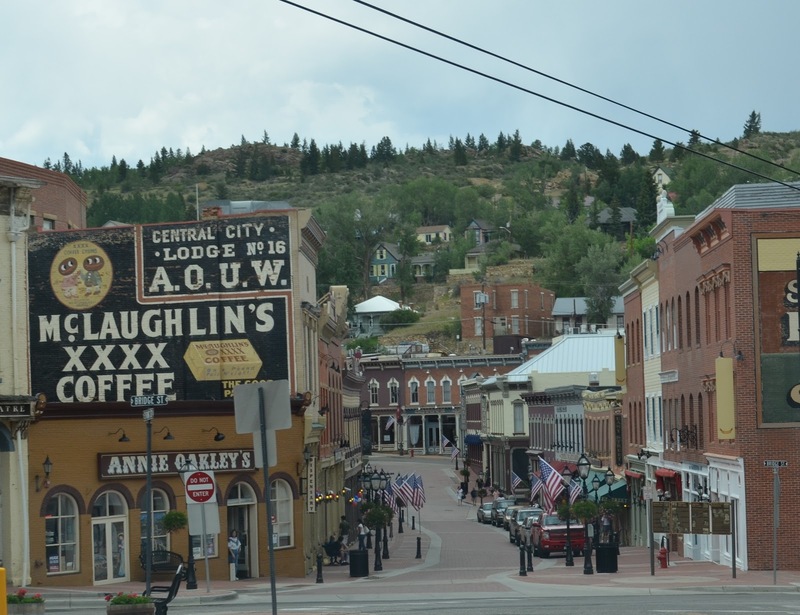 Downtown Estes Park has a slew of great features for pedestrians (a riverwalk with pocket parks, human-scale buildings, street trees), but until the city gives up on the idea that all streets must prioritize vehicles, it's never going to be the great destination that it should be. I think you should just forward your blog post to City Council!